Graduation season is just around the corner! 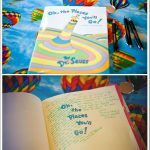 We know you’re thrilled (and maybe a bit emotional) that this day has finally arrived and it’s time to start planning a fabulous, memorable event to celebrate your child’s accomplishments. 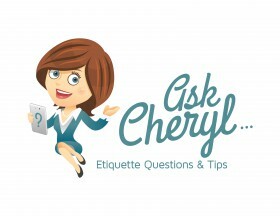 Here are 10 great tips to get you started on the road to a perfect party. We know you are over the moon excited, but be sure to consult with your graduate when you begin planning their celebration. During this meeting, try to determine what their expectations are for a party. Maybe they want a small dinner party…a huge backyard bash with friends and family…or no party at all. Even though your ideas may be different than theirs, keep in mind that it’s their special day! Good planning is the key to a successful party, and we suggest that you start 6-8 weeks prior to your child’s graduation date. This will give you time to determine the kind of celebration you’re having, set a budget, pick a date, and a make a guest list. 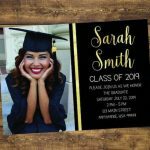 You want to be one of the first graduation events on your guests’ calendars, so we suggest sending invitations 3-6 weeks before your party. Once you determine the type of celebration, grab your calendar and pick a date. While you may be tempted to host your party on the day of graduation, we suggest considering a different day, such as the weekend before or after. If you have family visiting from out-of-town, the day after the ceremony might be a good choice. Or, if you feel the party must be on the same day, you could pick a unique time for your party. We like the idea of a late evening dessert affair or brunch on a Saturday morning since parties are typically planned on a weekend afternoon or evening. There’s a good chance that your guests will have several graduation ceremonies and celebrations to attend. And since you have a graduate, you’re also going to be busy party hopping. An open house style gathering is perfect — guests can come and make a quick appearance before heading to their next party or stay as long as they’d like. Just be sure to cut the cake at the beginning of the festivities so that everyone gets a piece! Now, before you start thinking I’m crazy, hear me out. If you host a large shindig and invite both family and friends, your child is going to be torn between spending time with their best buds and their Great Aunt Jane. Your child will probably choose friends, possibly leaving Auntie Jane feeling miffed that she brought a nice gift but didn’t get to spend time with the graduate. You could plan a nice dinner with family and then have a casual gathering (pool party or backyard barbeque) for your graduate’s friends at another time. This will require more work on your part, but it may alleviate tension and hurt feelings for those who have traveled distances to spend time with the graduate. We’ve already mentioned that most people attend several events during graduation season. In order to free up their schedules a bit, consider hosting a combined party for your child and one or two of their close friends. Your guests will appreciate it, and you’ll be able to split the cost of the party amongst several families. Since this is the graduate’s big day, include some of their favorite foods and desserts on your menu. If they play sports, display their jerseys, gear, and trophies. Decorate in their favorite colors or the colors of the college they’ll be attending. You could even let them create the playlist for background music. This is not only a celebration of the graduate’s academic accomplishments but also a celebration of their life. Display mementos and photos of your child from various stages of their life. A great choice is the ever popular slideshow of the graduate’s life shown on a television or monitor. Or try one of these unique options- photos lining the driveway, a balloon chandelier over the center of the buffet table, or a giant photo wall. Graduation signifies the beginning of a new chapter in someone’s life since they’re most likely headed to college or starting a new career. The traditional “Wishes Jar” is great, but why don’t you send them off with a special keepsake crafted by their closest friends and family. Have guest’s write a wish on a Jenga piece. 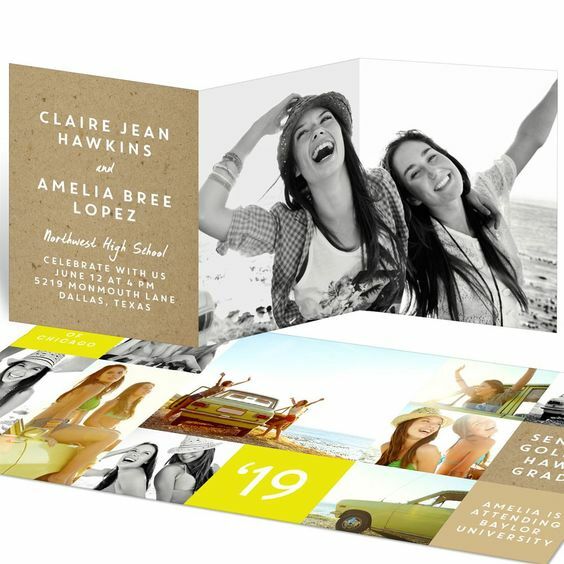 Or create a digital photobook using the graduate’s senior pictures and use it as your guestbook. Once you’ve determined the type of party you’re going to have, start developing your menu. Keep in mind that many guests will have more than one graduation party to attend and may only stay at your place for a short period of time. “Grab n’ go” food that can be eaten standing up is typically the best option for large crowds. It may be easy to fall back on burgers and hot dogs, but that’s not always the easiest menu because the grilling is done at the last minute. And remember, you don’t have to plan a full meal. 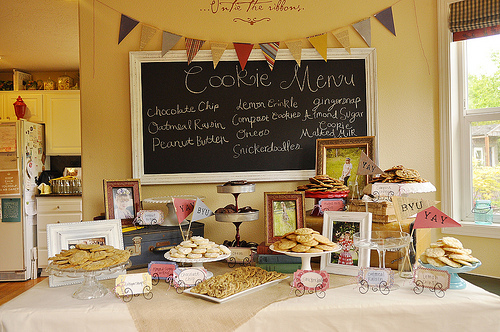 Check out this super-cute “Smart Cookie” party! Good luck as you begin preparing for this fun event. We’ve made Graduation party shopping easy for you over at our Amazon Store. 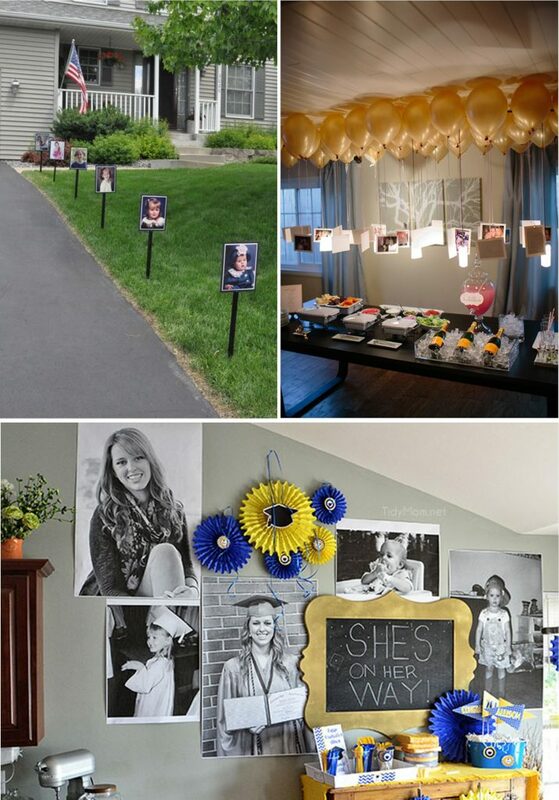 Check out our Pinterest Board Graduation Party Inspiration, for more sweet and creative party suggestions.